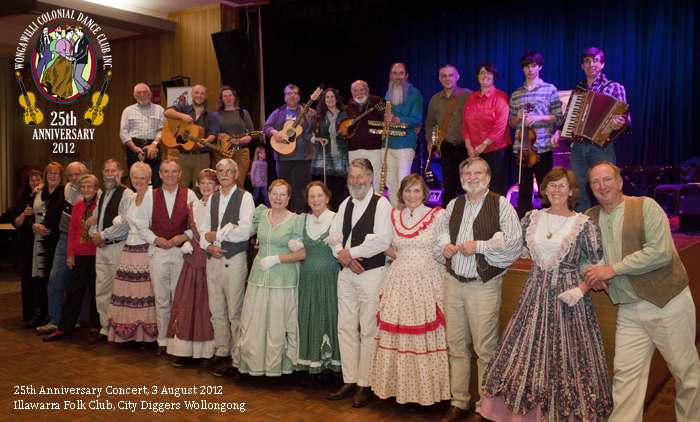 Past and present members of the Wongawilli Band and Colonial Dancers at the 25th Anniversary Celebration Concert held on 3 August 2012. Image by Graeme Morrison. Kellie Marsh, Mayor of Shellharbour and kids enjoying the dancing and lagerphone! Monster bush band with over 20 members!